Over the years of I have learned to love night photography. If you’re new to photography night photography can be difficult to learn. Since there is less light for the camera to capture you’ll be tested to know your camera and its settings well. I have put together a list of night photography tips that will jump start your photography. Using a tripod or finding somewhere to sit the camera securely is essential to night photography. Your camera will be capturing an image for multiple seconds so you will need to keep the camera steady so handheld isn’t an option. Luckily there are plenty of affordable tripod options that range in side and quality. 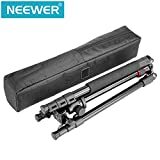 If you’re looking for a bigger tripod you can pick up a decent one on Amazon for around $50. But if you don’t want to carry a large tripod I highly recommend the Manfrotto Pixi Evo 2. I usually have this on the side of my backpack and it barely takes up any room. If you don’t have a tripod you can always find a ledge to sit your camera on. I often just sit my wallet underneath my lens and sit the camera on the ground. The label for Aperture Priority mode is different on brands but it’s usually (AV) on Canon or (A) on Sony and Nikon. Aperture Priority mode will lock your len’s aperture to a specific f stop number. After learning how to use Aperture Priority you should switch to using full manual but I think this is a great way to learn the camera’s settings initially. Since you’re going to be using Aperture Priority mode your camera will automatically set the shutter speed and ISO. This won’t work for night photography since you want to get a clean image so you’ll have to set the ISO manually. You’ll want to set your ISO on the lower end to reduce grain. Anything between ISO 200-1600 will give you a crisp image while taking photos at night. All camera’s noise levels differ so if your photo is grainy you should lower the ISO. Aperture Priority mode lets you lock the aperture to a specific number. Going as low as your lens can go is a good idea, so if you have the kit lens it’ll be around f/3.5 but anything below f/5.6 will do fine. The lower you put the F Stop the more light you will let in which is essential at night. Also note that the lower your F stop is the shallower your depth of field will be. So if your photo comes out blurry make sure it’s correctly focuses. Your camera will automatically set your shutter speed once you have set these settings. You could buy a remote control to trigger your camera to reduce shake but I recommend just setting a 2 second timer so your camera won’t get any shakes from when you hit the shutter release. This is a convenient way to make sure your camera isn’t shaking without extra equipment. Here’s a summary of the gear needed while taking photos at night. Here are some of my favorite photos I have taken at night along with their settings. If you live in a major city cars passing by can be fun to photograph on overpasses and bridges. If you live in a rural area astrophotography is well worth the trip out of a light polluted area.